Is Wilder Vaughn the Black Major? <SPOILERS> - Page 3- BLOOD FOR THE BARON!!! GI Joe and Cobra Reborn... and so are the Red Shadows! The Baron wrote: Has there ever been a Breaker: Declassified story? Is there any reason why he and Breaker from Z Force can't be one and the same? Both were born in Italy. The Breaker in GI Joe died at the Battle of Benzheen in Marvel's run and was called Alvin R. Kibbey. Sparks came from the GI Joe cartoon apparently and debuted in America's Elite. Just to tie this thread together, here he is! Thank you so much for listening DDP, this has made my day! After the conclusion of the Rise of the Red Shadows storyline, I was thinking that Mars Herring and Red Shadow confederates made off with Serpentor before blowing up the facility the Jugglers had him stashed in. Wilder and his compatriots never seemed to be the type to let something as valuable as him go to waste. And since the original Black Major's origin revolved around him being brainwashed to work for Ironblood and company, it seems fitting for Serpentor II to take the role. Also seeing that Hasbro awhile back released a Serpentor figure with black highlights, I could see him, even if and when he recoveres from the brainwashing, adding the look to his outfit. 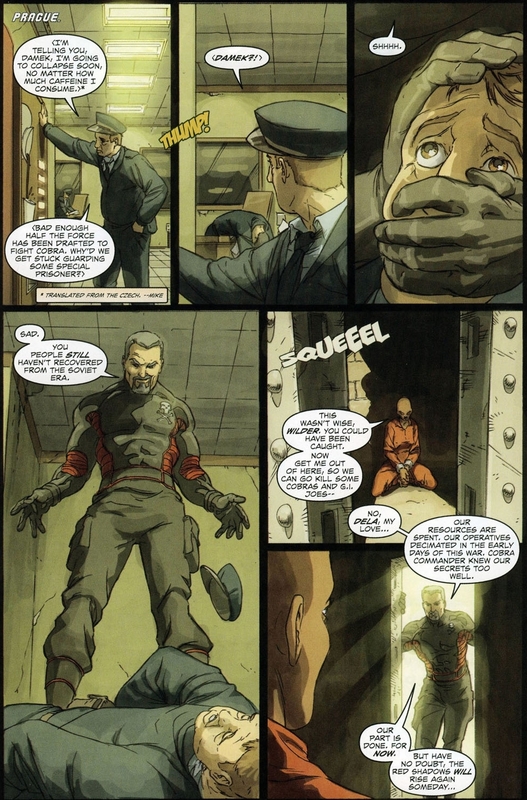 I had a detailed story outlining the Black Major becoming Major Black in Cobra, taking the name and job of The Interrogator. The outfit and mask seemed to fit. I'm not familiar with the Interrogator, do you still have your storyline? We have a few fanfic items in the Customs > Miscellaneous gallery on the main site. I'd be happy to include it if you like. It's Possible Black Haired Dudes tend to go grey overnight :lol :and John Shepherd is not his real name either(to protect his family name they used Shepherd in the story I'm colouring right now )..not sure the beard suits him though . Yeah, but then in "Revenge of The Red Shadows" Cobra Commander refers to him as John Shepherd being his real name, but without the disclaimer. ahh good point.. then again he may of changed his identity to avoid detection over the years ,been a well known terrorist aint good for the C.V lol although old Barone took a different approach .